This post is one that I have intended to write for some time, detailing some unique and strange experiences in my life, that I have never quite been able to explain. I have put this into sub-headings, so please feel free to browse and skip and read only what seems interesting to you! First however, a new experience from today…. Hummingbirds are also a reminder of how we expend our own energy. When hummingbirds show up in our lives, it’s a good time to take a look at ourenergy-stores and resources. hummingbirds warrant an honest look at how we are maintaining our vibrational frequencies. Are we frittering away our energy on needless issues (ie: worry, fear, lack)? Or, are we in a state of well-honed, regulated balance when it comes to our energy and resources? 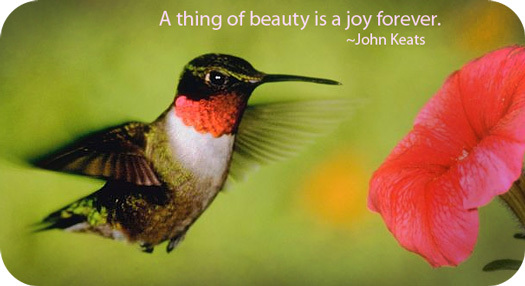 Hummingbird is very much linked to the Heart – it is about Lightness, fun, joy, clearing negativity. I am enjoying this chakra/totem association, discovering the many-layered aspects interwoven in the meanings, what they mean to me and how to use them wisely, knowingly, understanding the meaning and pattern developing in my life. I know this sounds morbid, but it is true. In a 7 year period from age 15/16 to some time in my early 20’s, I had 3 death dreams. They were so realistic I could FEEL my death for days afterwards. I remembered the dreams, the experience of dying, the fear, that these feelings are still with me today, 10+ years later. Dream 1: Sarajevo war. I have no idea why, I was quite a young child during the time of that war and this dream was years later. I was sitting in a cafe filled with people, when soldiers came in and started firing automatics. I remember ending up on a heaped pile of dead bodies, me still alive, playing dead and hoping against hope the soldiers would leave… but they didn’t, they fired into the bodies, the bullet hit me… life bled, faded from me, I felt life leave me, turn to black… I felt that bullet. I felt death come for me. It was real. And it scared the hell out of me. Dream 2: English-German council of peace after the war. Both armies sitting at a table discussing moving forward in peace. I was at the head of the table, the diplomat, the ‘neutral’ or aligned party, on both sides and neither side. A soldier burst in through the door, yelling, aimed his gun – at me. Again, the bullet hit. 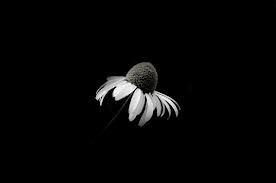 Again, I felt the disorientation, the draining of life, knowing I was dying, seeing only blackness… felt death begin. Dream 3: I found myself walking down a corridor… and knew it was towards the electric chair. I was walking to my own execution. Panic gripped me: I had to escape. I ran into the bathroom, breathing hard, looked at the window, the walls… no escape. Nowhere to run. I was really going to my execution, there was no denying it, no choice. This was it. I had 5 minutes of life, and then – death. This time the dream ended there, not actually at my death. But the panic, the knowing of death to come… when I awoke, that panic was still with me. I still, to this day have no idea why I had these dreams. There was no obvious trauma in my life at those times – I remember questioning the dreams at the time. Some subconscious forces were obviously at work, but I never did uncover them. On the same sort of theme, I have several times woken from dreams and found myself actually crying. This has not happened for some time, but again, some strong subconcious actions happening to induce such a physical reaction, and again, not something I ever discovered the ‘why’ of. At the age of around 14/15, I was walking in my local town, on a normal day, in a normal way. Suddenly, noticing the people around me, walking, talking, being normal, I felt this amazing connection with them all – suddenly I could not understand how they could just walk past me and disappear from my life, as if they did not exist. To every person I felt this spiritual connection, and had an almost panic-reaction to their coming-and-going in a blink of an eye, that they did not acknowledge this connection with each other. The feeling lasted for seconds, literally, but was so profound, it has stayed with me to this day. I have never been able to reconnect with this feeling/understanding, and I don’t know why it happened that day. It was totally out of the blue, came from nowhere, and disappeared again. Leaving me with just a glimpse of absolute, total, inter-connectedness. I have saved the weirdest, the strangest, the most unique experience in my life until last. There are very few people who know this tale, and of those I have spoken to, I have not yet come across anyone who has experienced anything like this. Comments, suggestions and thoughts particularly on this will be very welcome indeed. Again, this started at the age of about 15 (In writing this post, I am beginning to see a strange pattern!) And again it stopped sometime in my early/mid-twenties. It always happened when a) I was alone, & b) when I looked in a mirror… something ‘shifted’ inside me, and I was no longer quite myself. I felt myself to be, literally, ‘beside’ myself, overlapping my body side-wise; half in my body and half to the side of it. I looked in the mirror and knew it was me, but also felt like a stranger. I became uncomfortably conscious: super-aware of myself, of every action, that it was extremely unsettling. Simple actions, such as brushing my hair, picking up items… felt like someone else was in control, was doing it, with me kind of watching. Yet it felt like ‘me’, it felt like a stronger, wiser, better me, somehow. Me, but a different me who was in control of my body, whilst Me me watched, terrified, wanting to be back to just being me. This sensation could last anything from 15/20 mins up to maybe an hour or so. It really did terrify me because it was such a strange feeling, and I had no idea how or why it was happening. It didn’t happen on a regular basis, but often enough that it was more than a handful of times over that period. I don’t know why it started. I don’t know why it stopped. And I sure don’t know what the hell it was! I have never been able to find an answer to this. Last night I had a dream about my right hand having to be cut off (I am right-handed). There was nothing wrong with it in the dream, but I knew it had to go. At first I was terrified, I didn’t want it to be amputated (especially with the stanley knife that was the tool in the dream!). But eventually, I surrendered, choosing to accept the fate, and told them to do it now & quickly. Then it no longer needed to be cut off… as if in the surrender, I had ‘fixed’ the problem, or maybe passed a test. I had a similar dream some months ago about my forearm or perhaps whole arm, accept I had 2 chances in that one, the first I chose to allow my arm to be cut off, which then regrew, the 2nd time I chose to keep my arm and not have it cut away. I am not entirely sure of the theme here but there is definitely something deep going on, and I and Neometheus believe it has something to with ‘control’ and ‘letting go’. If you have stuck with me so far – wow, thank you! I hope you enjoyed this rather strange trip, and please feel free to share your own strange experiences, or to comment on any of the above – any and all thoughts welcome! Keeping grounded, centred and balanced is very important, especially in today’s busy, hectic world. We are all so very busy, doing all the jobs that need doing, helping out friends and family members, worrying about finances, work, our health… so many things take up our thoughts and our time, that it is easy to lose sight of what is important, and what is right in front of us. Doing a ‘grounding’ meditation can help us let go of our fears and worries, and help us to concentrate on the present as well as what is important right now. Grounding can also help us come back to the everyday world after we have had an energy healing session, which can leave a person feeling floaty, light-headed, and spacey. In this case, the healer should help to ground the recipient by finishing the healing session at the feet, bringing up earth energy which helps to connect the recipient literally to the earth, reducing that floaty light-headed feeling. energies. It is also a useful practice for when we are feeling we are doing too much, or cannot concentrate on present issues, problems or events. Grounding helps us to be fully present, to feel balanced and whole, and to see situations around us clearly, with reduced emotional response, which then helps us to make a clear, rational, thoughtful response appropriate to our current situation. Sit or lie somewhere comfortable, ensuring you are somewhere you feel safe, relaxed, and at a time when you won’t be disturbed. Concentrate on your breathing for a while, allowing all outside thoughts to float away, like clouds passing through your mind. When you feel that you are deep within yourself, you can begin to draw on the earth energy. Imagine your body has roots that connect you to the earth…. Feel your roots travel down, down through the floor of the building, through the concrete pavement, connecting with the land, down through the soil. When you can see this or feel this, hold that impression, making it firm and clear in your mind. You are rooted to the earth, you can feel the soil, the plants that share the soil with you, and the trees. See your roots entwining with that of the plants, or mushrooms, or trees: whichever feels appropriate for you. Enjoy this sensation, stay as long as you feel you need. From here, you can ‘come back’ – bring your roots back up, slowly, gently, back into yourself, become aware of your body again, then your breathing, and slowly, count yourself back awake (“3…2…1… awaken now”). This is the simplest way of grounding, and is a fairly short meditation if you don’t have much time, or much practice at meditating. You can take it further, however, continuing the meditation from that point of connecting with the earth: imagine energy coming up from the earth, travelling through your roots, up your body from your feet, up to your base chakra. Take this slowly, ensuring you can really feel (or imagine) the earth energy travelling up, feeling its movement through your body. Feel it fill up your base chakra, then move on to your sacral chakra, stopping again until you can feel the earth energy connect with the chakra. 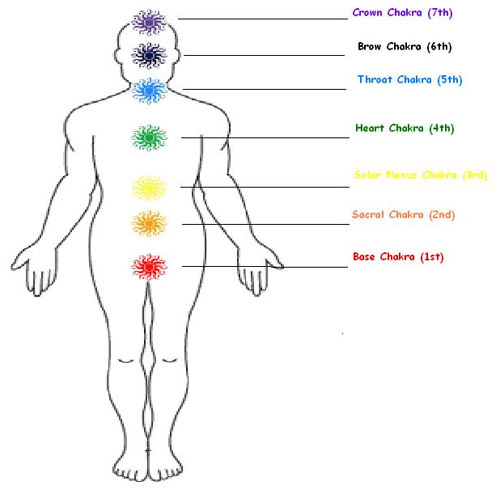 Continue doing this all the way up your body, with each chakra, until the energy reaches the crown. 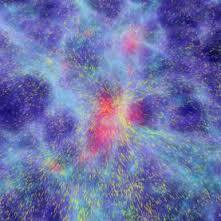 Now, imagine the heavenly chi, or energy, that comes from above and is drawn downwards through the body. So, at the top of your head, imagine a white light, that comes down from your head, again connecting at each chakra. Here, at each chakra point, starting with the crown, imagine the heavenly chi combining with the earth energy at your chakra: see them turning your chakra into something similar to the yin-yang symbol, and beginning to spin. Once you are satisfied that you can really see this image, and see your chakra spinning with both energies, move the heavenly chi down your body to the next chakra point, the throat. Do the same thing at each chakra, slowly moving the heavenly chi all the way down the body, down your legs and through your feet. 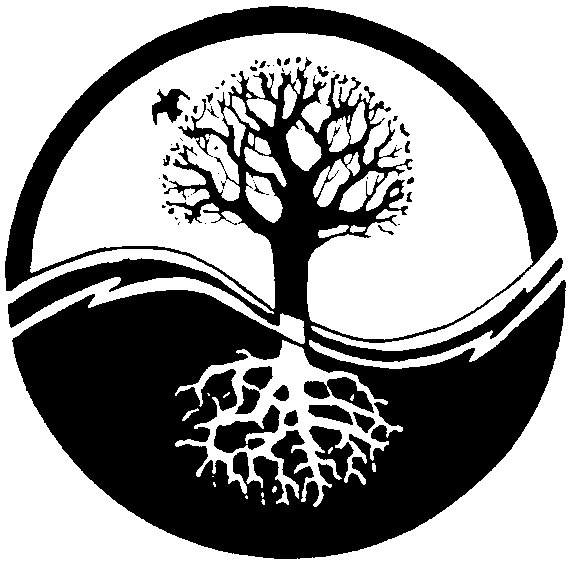 Once you are happy that the energies have combined, and each has gone from feet to head and head to feet respectively, then bring your roots (if you haven’t already done so) back up from the earth and into yourself. Ensure your aura feels close to your body at the head – that you have not left your crown chakra open. See your aura as close all around your body. The meditation is complete. Take your time waking up, rest for a while, ensuring you are fully aware of your body and your breathing. Tensing and releasing each muscle helps to bring you back to the present fully and gently. Open your eyes slowly, and rest for a bit before getting up. Personally, I have had great success with this particular meditation. At times when I have felt frazzled, empty of energy, or emotional, this grounding meditation has helped me ‘come back to myself’ – that is, reinvigorated me, rebalanced my physical feelings and emotions, and helped my concentration on focus. I hope it helps you, too. via How to keep grounded – a meditation – Reiki Heidi: Reiki Healing in Norwich. Considering I have ‘the 5 principles of Reiki’ tab, and following on from my last post that I am finally getting my Reiki business up and running, I thought it was about time I explained just what, exactly, Reiki is. Reiki is a natural healing energy that is passed from an attuned healer into the recipient, allowing Divine or Universal energy to flow into the person, healing them on every and all levels: the physical, mental, emotional, and even spiritual. The healer places their hands on or just above the recipient, at particular points on the head and the body, opens themselves up to the Reiki energy, and allows it to flow through their hands and into the recipient. Often sensations can be felt as the Reiki flows; warmth in that area, or cold, tingling and, in cases of healing physical problems such as sprains, broken bones or other hurts, some pain as the Reiki draws out that pain by increasing the body’s healing process. Reiki works with the chakra points on the etheric double: our chakras are our energy centres that are linked to our mental and physical well-being. If any chakra point is blocked, it manifests in our physical, mental and emotional health. Reiki works to unblock, cleanse and clear the chakra points, thus drawing out any negative energy that could be affecting us, which in turn heals the rest of us – the way we function in our selves. The chakra points are well known in the east and becoming more accepted here in the west, but it is still a bit of a ‘strange’ phenomenon’ to most people. The Sacral (Just below the belly button area), Orange – Emotions, relationships, sexuality issues, empathy, past feelings, letting go. Heart (heart), Green/pink – Self-love, Compassionate love, opening up. Throat (throat), Blue – Emotions, communication. 3rd Eye (forehead), Purple – Imagination, Inspiration, Opening up Spiritually, The Inner world, women’s power centre. Crown (top of head), White – Open to Spiritual source, the Divine. 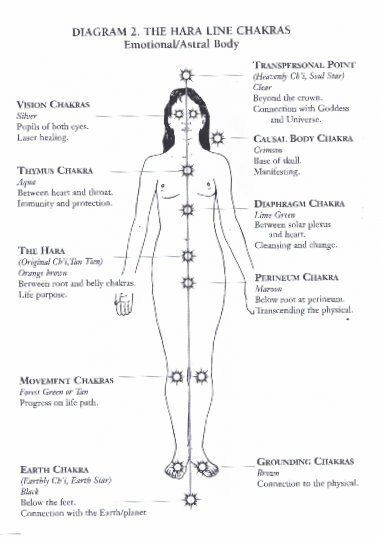 Each chakra point also corresponds to the physical parts of the body where they are located. When all the chakra points are clear and open, this is when we are in complete balance and harmony with ourselves. Reiki energy helps to keep us balanced, at peace and calm, because it removes all negative energy that stops us from being/feeling whole. 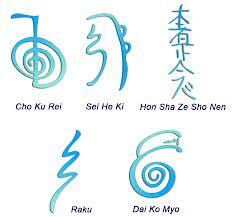 To give more specifics, Reiki is great for removing headaches, tiredness, stress and a busy, cluttered mind. It returns us to a calm mental state, clearing out all unnecessary thought, allowing us to see things clearly again. It also helps with emotional upset – unable to let go of a past issue, or an emotional hurt that we can’t shake ourselves out of. Physically, Reiki helps the body’s own resources to heal whatever is wrong, speeding up the process – so broken bones, long standing aches and pains, such as back ache, arthritis, shoulder pain and so on. With regards to more serious illnesses, such as cancer, Reiki CANNOT cure terminal cancer or any terminal illness. It is not a miracle cure, as any Reiki healer with integrity will tell you. What it can do in this case, though, is help to ease the pain felt, and to help the person suffering have a calmer mind, bringing them to a feeling of peace. 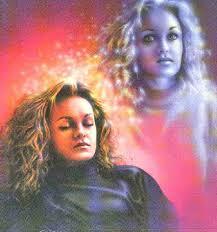 Mentally, Reiki can help with depression, stress, thinking patterns. It is an extremely useful tool that can help to heal many conditions, if we only open ourselves up to it. We have to be open to the energy – i.e. we have to want to be healed, for it to be work. 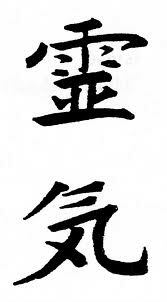 I truly wish for Reiki to become more popular in the world, for everyone to have the benefit of this wonderful gift. What sets Reiki apart from other energy healing systems is its use of particular symbols: These symbols each represent a different healing level, and using them appropriately increases the potency of the healing. There is one for physical healing, one for emotional, one for ‘letting go’ and a couple of others. 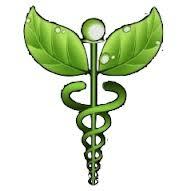 These symbols are used at the healer’s discretion, when they feel the symbol needs to be used. The symbols are drawn in the air by the healer above the recipient, either at the top of the head, or at the point being healed. Sometimes the person being healed can feel these symbols going in – as a sudden rush of energy, an intense feeling, or even like a mini electric shock! A Reiki healing usually lasts 45-90 minutes, working on the front and back of a person, from the head all the way down the body to the feet. Quite often, the recipient falls asleep, and a Reiki sleep is as refreshing as a 4-6 hour sleep! The recipient often comes out of a Reiki healing feeling calm, refreshed and rejuvenated. In essence – a ‘reset’ has occurred. When I was pregnant with my second child, I would sit in an evening and just send a little Reiki to my baby. My hands would heat up, and I could feel the energy zapping into my womb. Where my baby had been lying quiet or giving the occasional kick before, he suddenly started kicking and wriggling like crazy. And this was every time I sent the Reiki energy through. He seemed to love it – he certainly felt it, I have no doubt about that. I hope to have my business website up and running soon, I am currently constructing it. I shall let you know when it is finally finished and published. As ever, any comments and questions are warmly welcomed.